Vermont fire investigators say they don’t know what caused a fire that destroyed a huge, century-old barn in East Montpelier, but it’s not suspicious. Firefighters were called to the fire on Vermont Route 14 around 1 a.m. Wednesday. 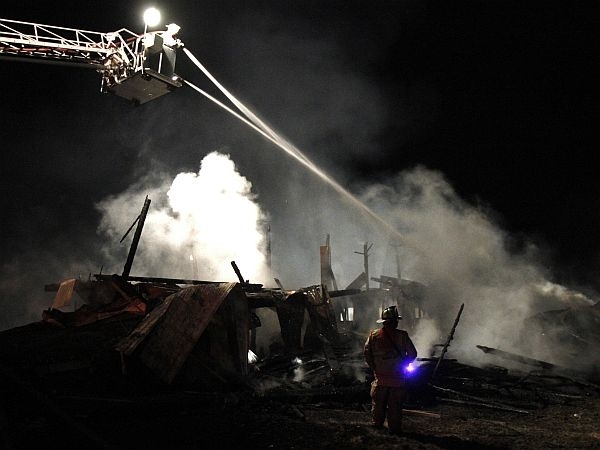 When firefighters arrived the three-story, 130-foot-long barn was fully engulfed in flames. The structure was being used for storage. Damage was estimated at more than $200,000. About 10 area fire departments helped fight the three-alarm blaze.